These tasty tartlets are a perfect starter for a meal with friends. 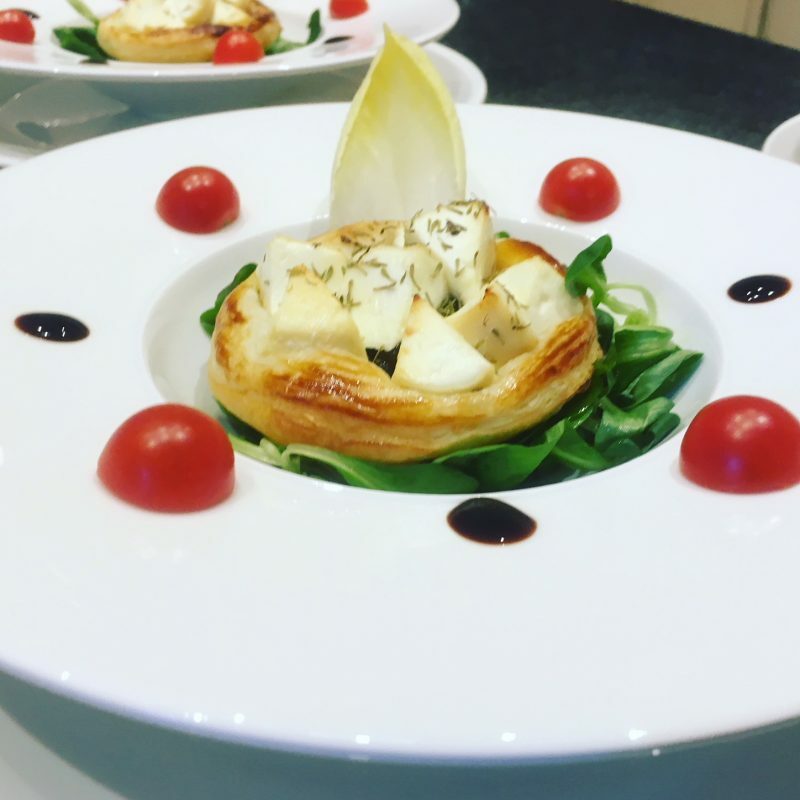 We have a great variety of goat’s cheese in France and the one we use for these tartlets comes from a small village of Albine, just 10 km away. You may not have as much choice, however most supermarkets around the world sell a goats cheese “log” or roll. Cut the log it into discs of approximately 2 cm and then into either 4 or 6 wedges, depending upon the size. Roll out your pastry until it’s less than 1/2 centimetre thick and, using an espresso saucer, cut out six discs. Lay these onto a silicon lined baking tray. 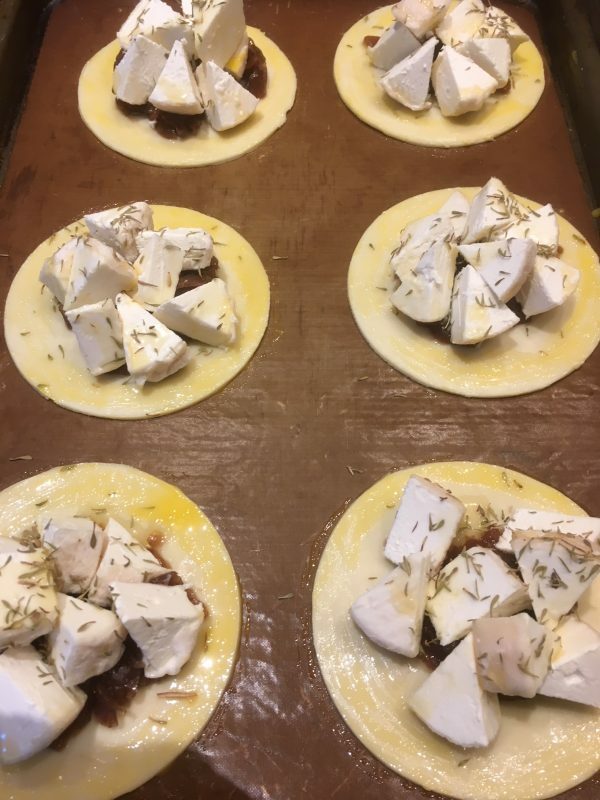 Place a tablespoon of red onion marmalade in the centre of each disc and roughly arrange the goat’s cheese on top. 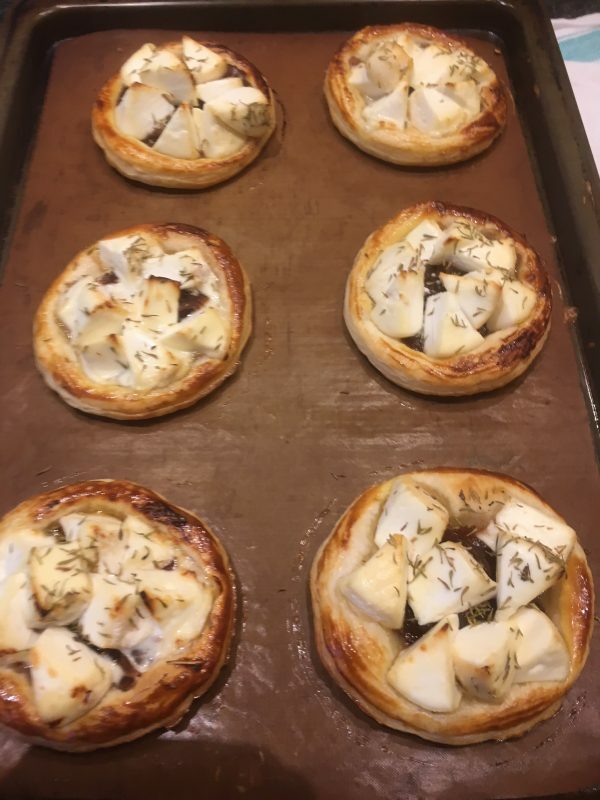 Drizzle a little honey over the cheese, a sprinkle of dried or fresh thyme and brush a little beaten egg around the edge of each pastry disc and place on a high shelf in your oven for 8-10 mins. 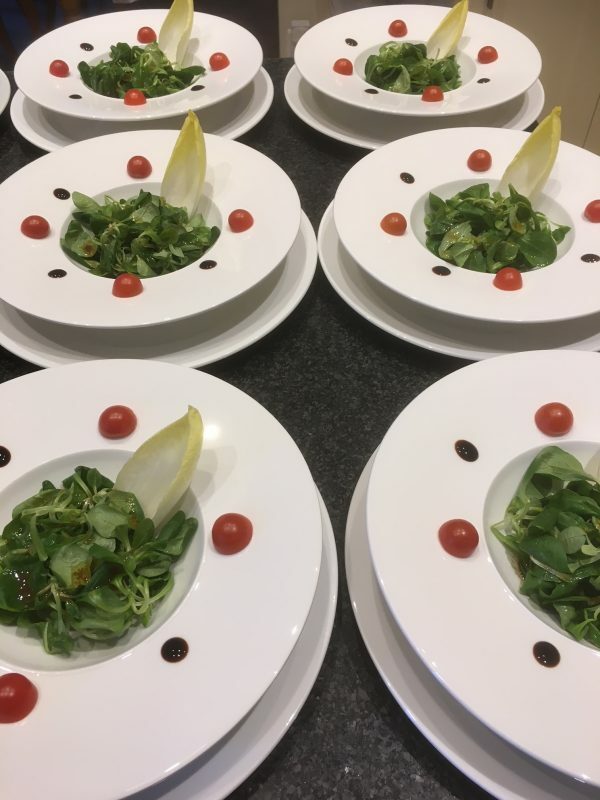 Arrange some mixed leaves in the bottom of your serving bowls; cut the cherry toms in half and place three halves and one endive leaf as shown. Add a teaspoon of salad dressing onto your mixed leaves and (if you have it) a few dots of balsamic glaze on the rim of your plate. This is a great every-day dressing. You just need a clean jam jar and lid – add 1 teaspoon of Dijon or wholegrain mustard and half fill the jar with a good quality olive oil. Add a pinch of salt & pepper plus one tablespoon each of balsamic vinegar & liquid honey. Ensure the lid is screwed back on tightly and shake vigorously (keep in the fridge and just top up with the ingredients as & when needed).